"I first had this recipe when my husband and I were dating. I am not sure where his mom came up with it, but my family loves and it is an often requested meal in my house. 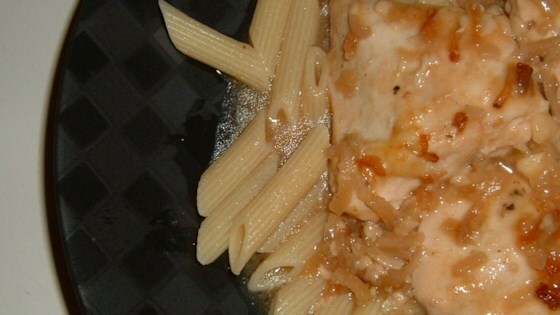 The gravy formed by the dish is great over rice!" Great recipe! So easy and my 6 year old niece even loved it! I was disappointed with this recipe. It was very soupy! After reading other comments, I added less onion soup to lessen the oniony taste, but it was too soupy.